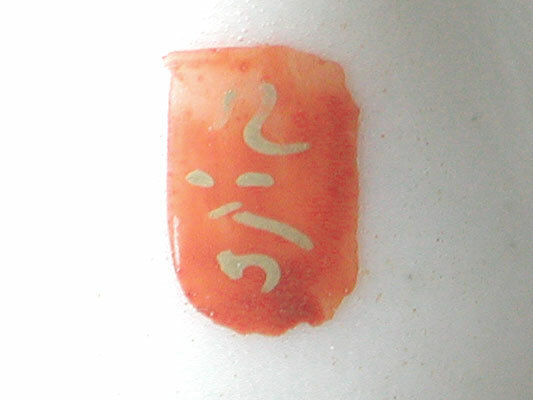 These shape is small size thinly. 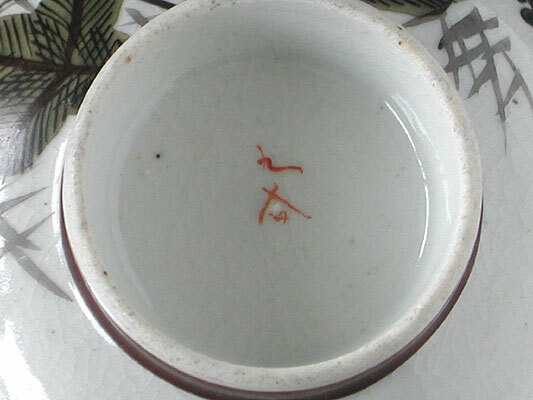 Bamboo grass, cherry tree, cloth and bird are drawn on the body with sober color. 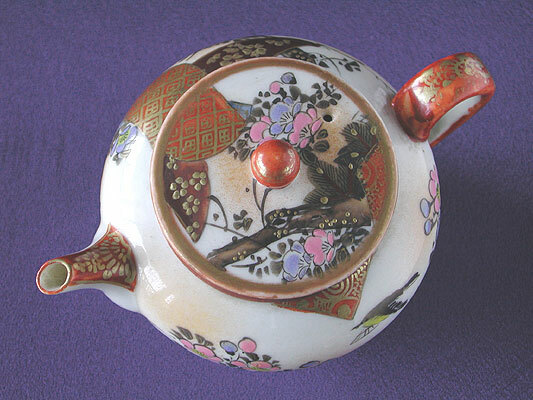 And cherry blossoms are drawn with pink and blue of West pigment as accent brilliantly. 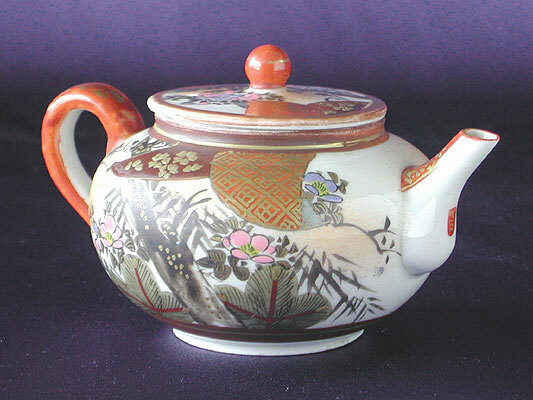 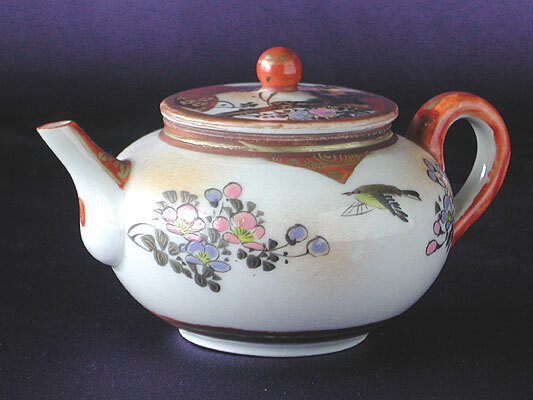 This teapot is China style by influence of China taste. 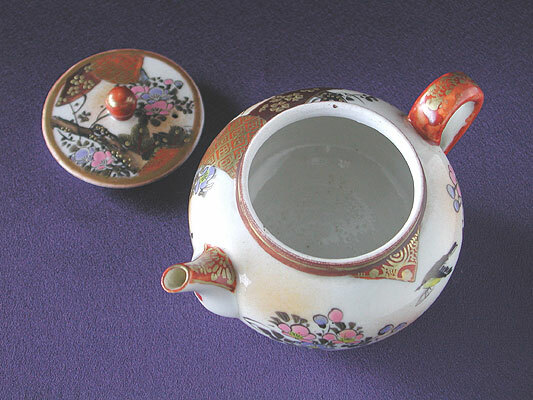 Kyusu (teapot): Diameter 4.52", Height 2.75", Yusamashi (Cooling pitcher): Diameter 4.13", Height 1.65", Senchawan (Teacup): Diameter 2.99", Height 1.57"
All gold color has a partial rub. 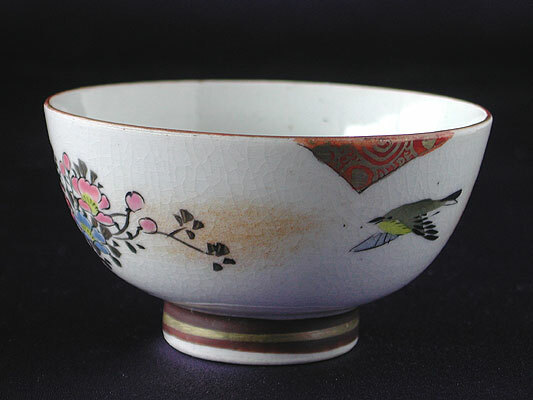 Kyusu and Yusamashi are not flaw. 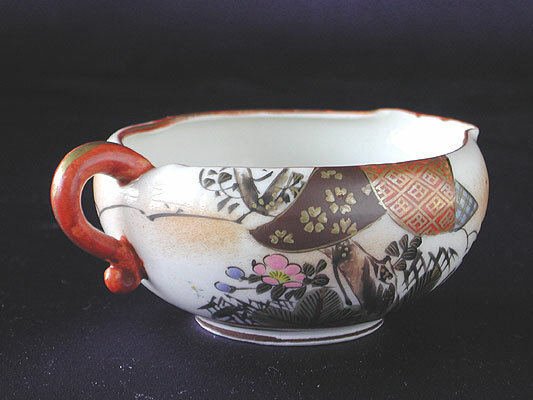 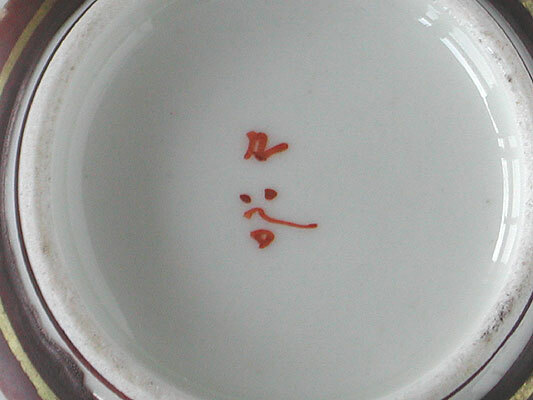 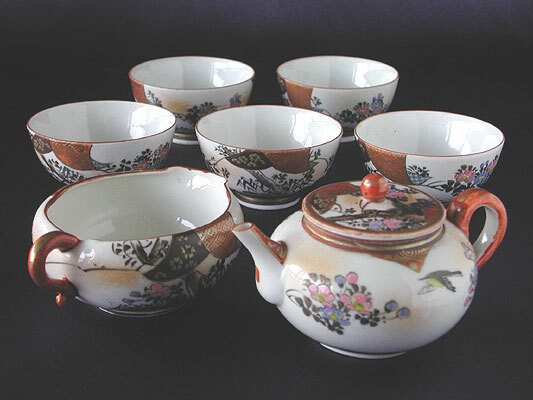 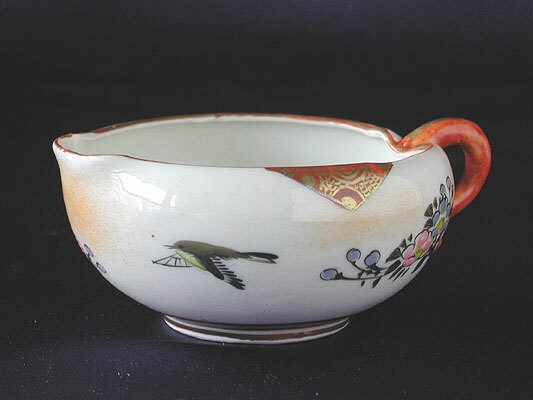 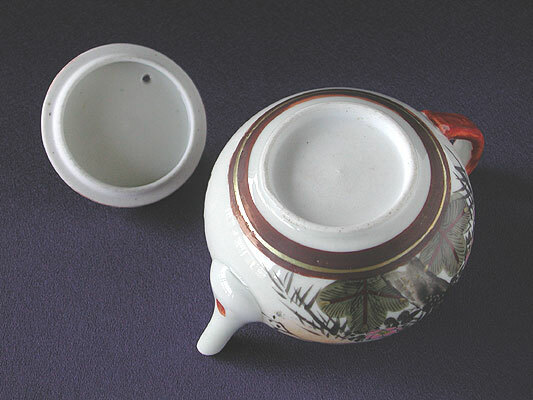 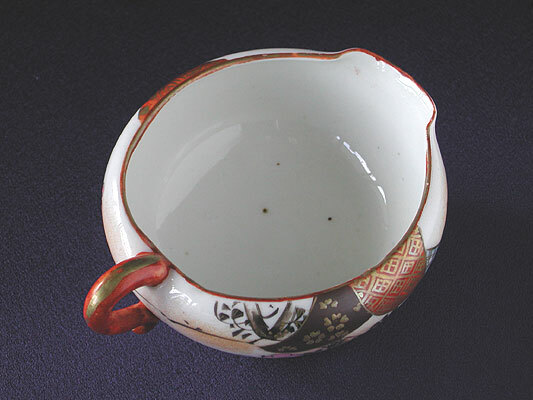 Two Senchawan are crackle ware, one Senchawan is crackle ware and has one small chip on the outer bottom, one Senchawan has a natural crack, and one Senchawan is not flaw. 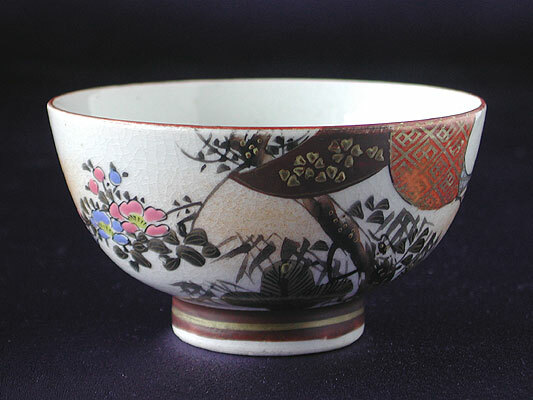 Please natural chip and blackish brown point regard as the evidence that is a work made in the old time.